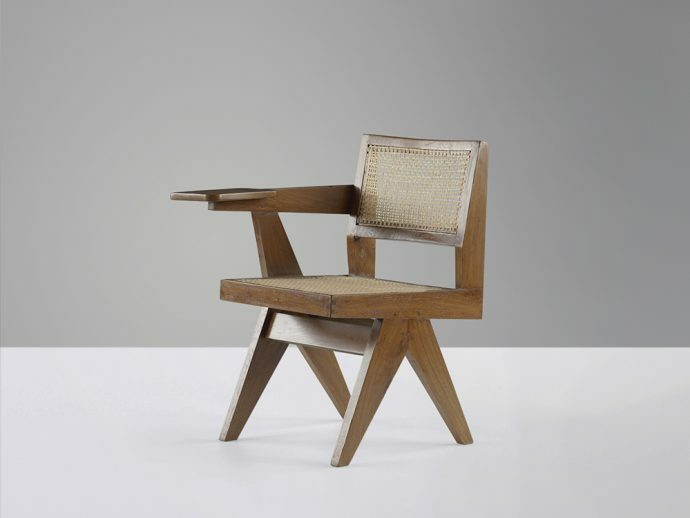 Writing chair known as "Class room chair" in solid teak and braided canework. Asymmetric "compass" type double side legs, ca. 1960. Solid teak, cane Chandigarh. 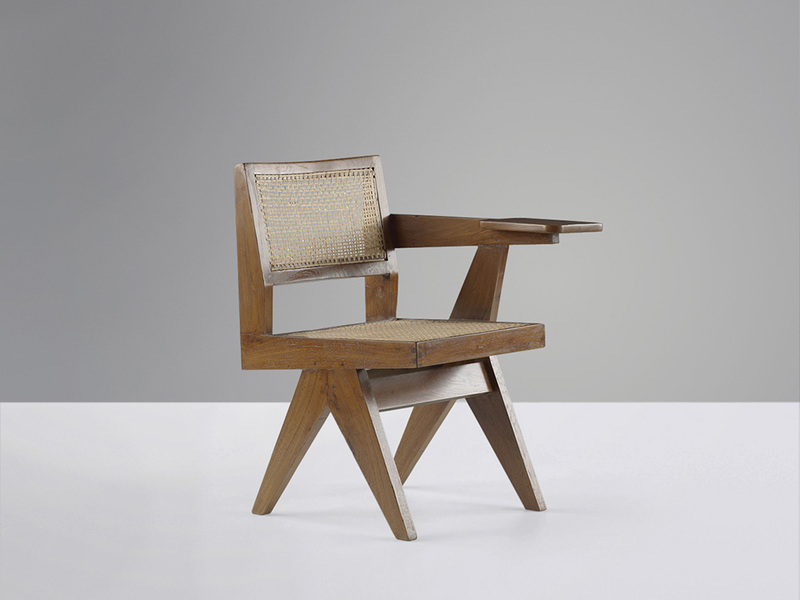 Pierre Jeanneret PJ-SI-26-E.